The problem with YouTube is that you can only share stuff you happened to be recording. 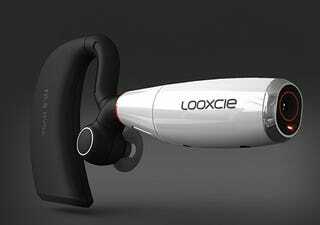 The Looxcie, a $200 video camera that you wear on your ear, proposes a simple solution: record everything, all the time. 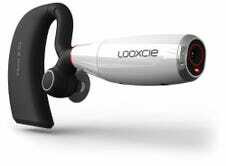 Here's the idea: You wear the Looxcie on your ear and it records everything you see, roughly as you see it. The camera can hold up to four hours of video (in crummy 480×320 at 15fps); when it runs out of space, it starts dumping the oldest footage—it's not made for collecting clips, it's for capturing them in the moment. When that shareable moment arrives—your cat gets stuck in a vase!—you press a button that instantly makes a clip out of the last 30 seconds and it gets beamed via Bluetooth to an app on your Android phone (other OSes coming by the end of the year). There, you can edit the clip and share it through all the usual services. The app also lets you access all the other footage stored on your Looxcie, allowing you to create longer clips and tweak settings.